The Lucciola lamp by Vistosi has been designed by Archivio Storico Vetreria Vistosi 1981. 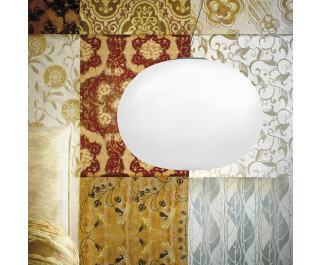 This blown glass design comes with a round white satin finish diffuser, that will highlight any surface with light. This beautiful light was hand crafted on the island of Murano.